• Cozino Casino Review - One Of The Coziest Casinos Around? 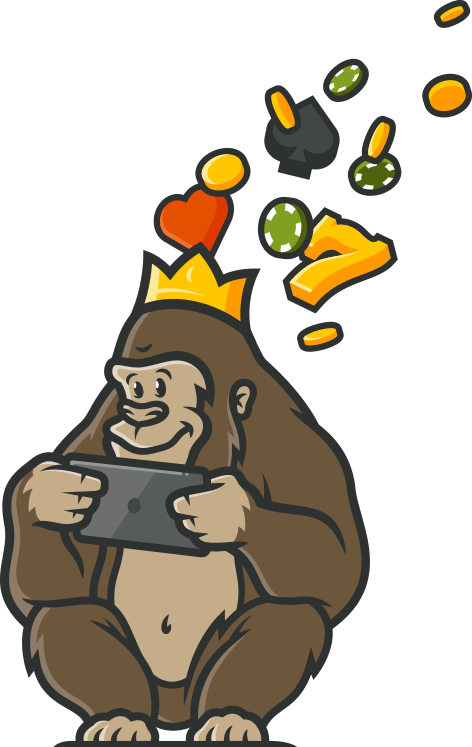 Cozino calls itself the ‘cosiest online casino in the Wild West’, which puzzled the Casino Gorilla a little bit as it is quite an unusual angle to take. Still, it looks pretty good and the cartoonish cowboy theme is carried through the site, so at least they are committed to their wild west approach. Boasting almost 1,000 games on site, the Casino Gorilla has donned his ten-gallon cowboy hat and is ready on the draw. This Gorilla takes no prisoners, so this cosy casino had better live up to its promises if it wants a good review from the big guy. Cozino are going for a cozy rather than a colossal welcome bonus. They offer a free spin for every euro that you deposit – although of course that only applies to the first deposit. The deposit must be between £10 and £100 meaning that the most you can earn is 100 free spins, with a value of 20 cents each. In real terms that is a bonus worth £20 for a £100 deposit, which does not particularly impress the Casino Gorilla. Of course, when the bonus comes in the form of free spins, your average casino player believes that the sky is the limit and that he or she is just one spin away from a windfall. As with any casino, you take your chances when you spin those reels. As we have seen, the welcome bonus from Cozino Casino is all about those free spins. Not exactly the most generous offer, but you can earn between 10 and 100 free spins on the Wild Wild West: The Great Train Heist slot game. An appropriate choice for a cowboy-themed online casino. The wagering requirement is certainly very reasonable at just 30x whatever you manage to win from your spinning. Usually this kind of free spin offer gives you spins worth just 10 cents, so at least with this one that figure is doubled up to 20 cents per spin. When you go to make your first deposit, make sure to enter the bonus code COZINO100 before clicking to send the money. There is a clearly-marked space to enter the code on the deposit page, but if for any reason you are not sure then contact customer support. Also, if you forget to enter the code make sure to contact the support team before you spend any of the cash you have deposited. That way they will be able to add the appropriate number of spins to your account. When the Casino Gorilla started poking about this site, he was rather concerned that there might not be a live casino section worthy of the name. He needn’t have worried. The live casino section at Cozino Casino is very large indeed, although disappointingly the range of different games is quite restricted. Despite the fact that you can choose between dozens of tables, nearly all of these are variations on Roulette or Blackjack, with a couple of Baccarat games thrown into the mix. Apart from that there is a solitary Casino Hold ‘Em table and that’s about it. Mobile gaming is growing more popular year on year, and as Cozino Casino was launched as recently as 2018 it is fully adapted for mobile casino play. You can enjoy a huge range of different games when you play on your smartphone or your tablet. The make or model doesn’t really matter, as long as you are using a relatively modern phone or tablet then you can simply log in and start playing real money casino games here. Cozino confirm that they use ‘128-bit SSL data encryption, the same technology used by popular credit and debit card companies’ to ensure that all payments are processed as securely as possible. If you are comfortable using a card online, then you should be equally comfortable making deposits and withdrawals to/from Cozino. The site holds a Maltese gaming licence which allows it to operate across most of Europe, and these regulators expect the highest standards from their licence-holders. The independent iTech Labs have certified that all of the games on this site are functioning fairly and correctly. There is an FAQ section on the Cozino site which can be accessed via a link at the bottom of the page. Hopefully this will answer your questions, because there is only one way to get in contact with the customer support team and it is not the fastest method around. Your only option is to send an email, as there is no live chat or telephone option available for players. 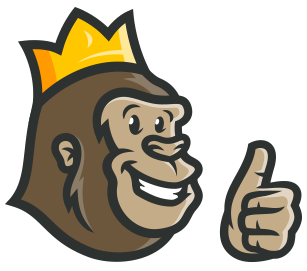 The Casino Gorilla prefers when a casino makes it a little easier to get in touch so hopefully no issues arise which required instant assistance. Cozino Casino is the wild west casino with a cozy, warm glow. The welcome bonus is small but at least it gives you a fair chance to play through the bonus funds and withdraw. The game selection is top-class, with some monster jackpot slots sure to quicken the pulse of any casino gaming fan. The site design is quite nice, even if the idea behind it is a little confusing. Plus, the lack of a live chat option is a real omission for a modern online casino. However, on balance the Casino Gorilla gives this one his cautious approval, this is still a very young casino and may yet go on to greater things.